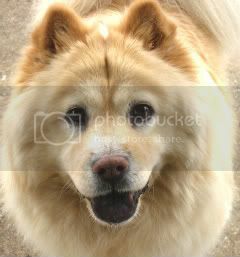 Lakota: Nashville, TN - Female Chow no longer in need! 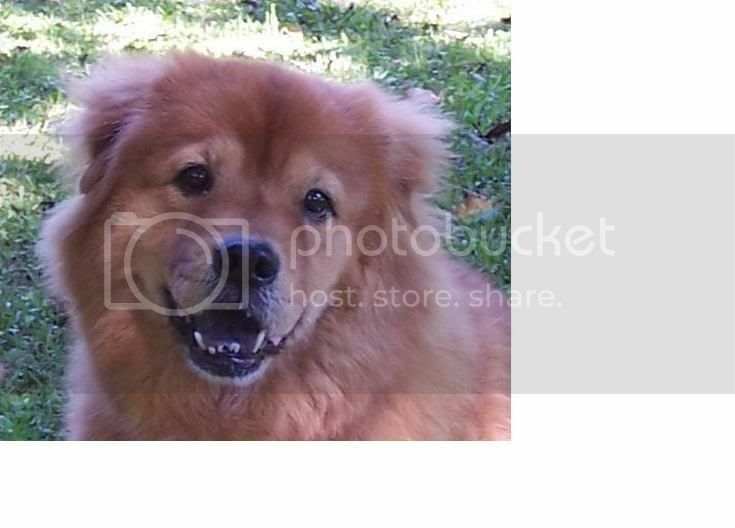 What about the person in SE GA who is looking for a Chow? If the people in England want her why couldn't she goto England, Air fare is no problem if thats the problem. But I wouldn't send her off to england with out knowing who the people are first. I didn't read the whole post but its a shame to seperate her from what she has now. I actually pm'd the person who knows of them to see if we could all chip in to send the pup to that couple in England. I hadn't thought of the quarantine. Years ago, England's quarantine period was one of the longest. Does anyone know what the length of quarantine is in England. I would be ready to chip in if it's a workable plan. Sandy & I have chatted about England's 'Pet passport' scheme that removes the need for any quarentine period. I believe the couple in England got lucky and found a mix to adopt. This little girl touches me. I had already committed to getting Chloe when Lakota popped up here and I have followed her story. I can't take her...hubby would have a stroke and I just can't have 3 dogs or two of the same *Censored Word* in the house. Is there anyway that I can help? I know Sophie's mom said she couldn't afford to have two. Could I or we help financially with food and vet bills? I hate to see her re-homed again but I also understand that if her foster mommies can't keep her then they can't. Anything I can do to help? I know people are pretty keen for me to keep Miss L, but here's the thing. Sophie was sick last year, and the vet bills came to $2000 without even surgery involved in no time flat, and that incident made me very mindful of the fact that I personally shouldn't have more animals than I can reasonably support. I love Lakota, but it's the kind of love that wants her to have the best life possible. She's had plenty of the selfish kind of love from her previous owners, she really doesn't need more. Being a free lance artist, my job flow is an either feast or famine situation, and with the economy being the way it is, it has been more of the famine variety. I'm not poverty stricken, but I really can't take on another chow, that would not be fair to anyone involved. If anyone would like to donate a dose of Heartgard (51-100 lbs) or Frontline Plus (45-88 lbs) to the cause, that would be great. PM me for my email addy so I can give you my address.It has been unseasonably warm in TN this year, and I have been dosing Lakota out of Sophie's stockpile, so the cupboard is officially bare. Her little pink bottom makes her a tasty meal for the local pests, got to keep her critter free. Thanks for your concern about her, everyone. Michael, I'm glad she didn't go to Bing Bing's house too, mostly because I don't want to think of your beloved chasing you around the back forty with a butcher knife. Please PM me your address. I just bought a package of Frontline Plus. I can send you a couple of doses right away. Thanks for fostering Lakota for now. I hope there will be some response with some local rescue assistance. Is she good with kids?? Mine are 12 & 13. We have 2 rabbits now but they are caged. Our chow had to be put down in October because he had cancer. She is very good with kids, according to Stachia. That's where being deaf pays off for her, the loud noises kids make don't bother her. She is very good with cats inside, so I really don't imagine there would be a problem with rabbits either. She's not a jumper, unlike Sophie who would shamelessly climb any human to get to a kitty. Sorry to hear about your chow, Barb. Maybe Lakota is the girl for you. Oh, I do hope Barb can take Lakota. I would love to see Lakota and Miss Beasley get a home in one fell swoop-they both deserve it! I have a dose of frontline I can send you, too. With 6 inches of snow falling today I don't think we are going to need it anytime soon. PM me your address. Would you consider a home for LaKota without a fenced in yard? I have been emailing with a blind male chow's human that wants an adult female but has been disqualified for lack of a fenced in yard. Banner courtesy of the amazing Sweetpea. Until there are none, adopt one! Well, if he has a blind chow, he knows the drill... constant supervision outside. Lakota is slow moving and I can catch her, but she is also determined, so she has to be watched. She is great at an off leash park but obviously not where there is the danger of cars. I would also be turned down for the lack of a fence. Her former owners had a fence, it didnt make them good parents. I think a leash would do just fine. Other than finding a new forever home, what else is on the Lakota "wish list"? Let us aunties (and uncles - maybe) send her a care package! Honestly, Lou, her needs are very simple. She doesn't seem to care for toys, she would rather go for a long walk, which we do twice a day. She isn't fussy about food or treats, she likes everything except evo biscuits and dried sweet potato chewies, which got two paws down and no claps. Can't blame her. The only thing I can think of that she might need at some point is a warmer sweater than the coat I got her... I was in a bind to find one fast, and the pink coat was the only thing I could find that was big enough for her. Do people only dress up the little anklebitey foofoo dogs? Didn't mean to sound like our situation was so dire, it's not, but we do appreciate all that has been done for her. Lakota has no idea how lucky she is to have such sweet aunties. ciaobella wrote: The only thing I can think of that she might need at some point is a warmer sweater than the coat I got her... I was in a bind to find one fast, and the pink coat was the only thing I could find that was big enough for her. Do people only dress up the little anklebitey foofoo dogs? I got Teddy's coat at PetSmart but it was the only XL and it fits him perfectly. Wonder what the shaved newfies are supposed to wear this winter? Ah, Target, I forgot about Target. They have a good pet dept., I'll check it out. And I have a pure dread of going in old navy but I'll do it this one time for Lakota's sake. We tried Petsmart, but there were no large or X-larges, and the sweaters seemed a little flimsy. Well, just as I was reading "big sister treats" I looked up and Sophie was staring a hole through me, so I guess that's a yes. Poor girl, she's been such a good sport about letting Lakota sneak bites out of her dish, leave backwash in her water bowl, get hugs and kisses right in front of her without complaint... it's been good for Sophie, but I make sure she gets an extra cookie or two on the down low for being a good sis. Feel free to spoil away aunties, I know Lakota will enjoy anything you pick out for her.